I hope I whet your appetite for Mexican food with last week’s sopes because I’m back this week with Tamales! I caught the hint that tamales might be a tad labor intensive when three different people kind of sighed and waved their hand when I suggested I wanted to try making them. There’s a good reason families typically save these to make around special occasions, like Christmas. They take hours to make! But I’ll tell you what, when you’re spending half the day slow cooking meat, grinding chiles, mixing masa with your hands and wrapping and steaming little corn husk packages, you can’t help but pour a little love in there as well. 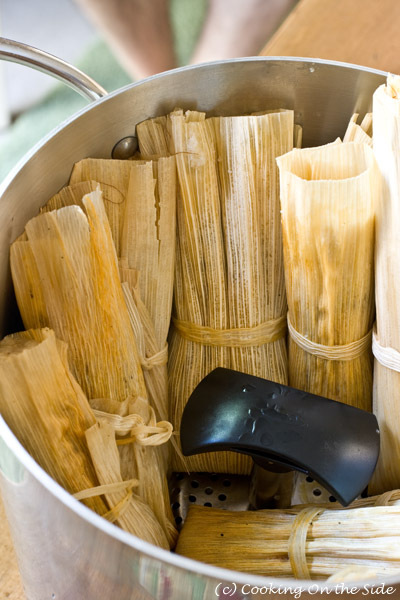 They were certainly the freshest tamales we’d ever had, as they came right from our own kitchen. I had concerns about simmering the pork (it didn’t dry out after all), the chile concoction (it adds deep, earthy flavor to the pork) and the lard (first time ever venturing to cook with it) but I gave the recipe a try anyway. My husband said these were the best tamales he’d ever tasted and I agreed. It was actually my 3-year old’s idea for us to make tamales. Last week, Special Agent Oso showed a little girl named Carmen how to make them in “three simple steps” in the new “Tamales with Love” episode. My daughter had to wait patiently while I prepared all of the components but was eager and ready when it came time for assembly. Rolling the tamales, for her, was much like wrapping a birthday present, which is another activity we enjoy in this house. And, of course, we had help from the entire family in eating them. Adapted from the Tamales recipe on the side of the Maseca for Tamales package. In a large stockpot, add the meat, onion, garlic and 2 teaspoons of salt and cover with water. Bring to a boil. 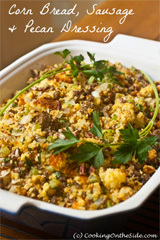 Reduce heat and simmer until the meat is cooked through and shreds easily with a fork, about two hours. Reserve 2 cups of the cooking broth to use in preparing the masa. Cut the meat into small pieces and cook in cooking oil until browned. Add chile mixture and another teaspoon of salt to meat, cook for approximately 7 minutes. Soak the corn husks for a few minutes and rinse well. Spread masa evenly over corn husks, place a tablespoon of meat mixture in the center. Fold all sides to the center, place in a steamer. * Cover with a wet cloth and steam, approximately 1 hour. Combine Maseca, baking powder and salt in a large bowl. Work in the reserved broth or water with your fingers to make a soft, moist dough. In a small bowl (or an electric mixer), beat lard or shortening until fluffy, add masa and beat until dough has a spongy texture. Prepare tamales with desired filling. Makes enough dough for about 16 small tamales. 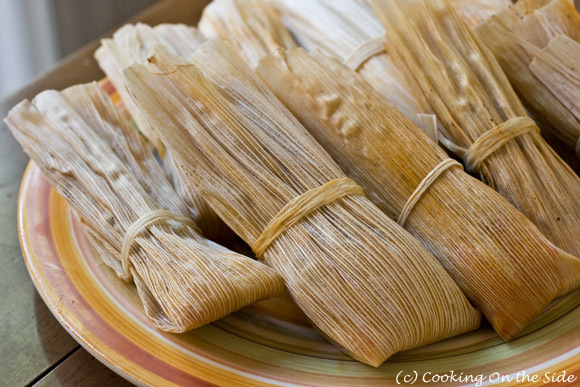 * There are a variety of methods for rolling tamales. YouTube has many tutorial videos that are very helpful. I lay a corn husk down on my work surface with the wider end closest to me and dolloped on about 1/3 cup of masa near the bottom. With the back of a wooden spoon, I spread the masa into a thin layer toward the lower-right end of the corn husk. I added a tablespoon or two of filling to the center of the masa. Then I lifted the right edge of the corn husk and folded it over to cover the filling. I continued rolling to the left to roll up the remaining corn husk. With the seam on top, I folded down the narrow end of the corn husk and tied the tamal together with a narrow strip torn from another husk. If this description leaves you confused, I highly recommend watching a few of the videos on YouTube (especially this one – abuelita knows best!) for guidance – it’s much easier than it sounds! Wow you really outdid yourself! I know from experience that these are not EASY. 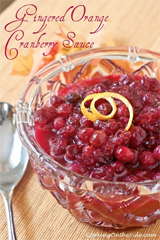 Some of my fondest memories are making these with my husband’s family. And no joke, they are a lot of work. Kudos for trying AND making gorgeous tamales! Thanks so much, Callye! I definitely see how it would be a great activity to get the whole family involved in. 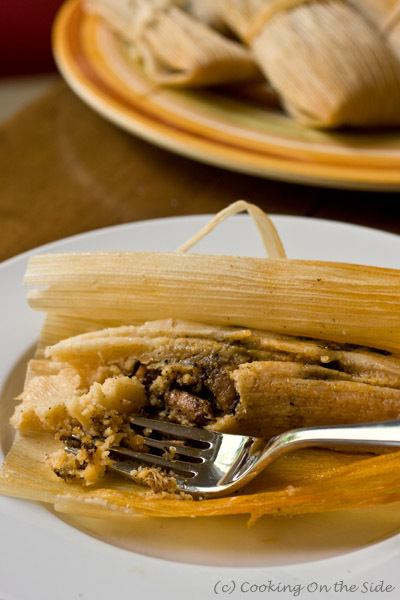 I LOVE tamales and these look fantastic. I really should try making them myself sometime! These look amazing! 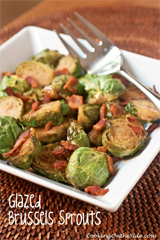 I have been looking for a good recipe for these! Wow, that sounds like a lot of work, but worth the effort! Your daughter is ambitious (as are you)! It did look a lot simpler on the animated Disney show, lol. But we did it! My one experience making tamales, years ago with the chef of a Mexican restaurant, convinced me that it was too complicated. But your post reminds me that it’s time to try again. Magnífico! (And gluten-free!) A lot of work but they sure do look delicious. Beautiful! I have always wanted to make tamales. Thank you for this post- you are inspiring me to try. YUM! I don’t know if I’m brave enough to try making them, but you have me motivated! Impressive! I heat our leftover tamales up on my panini grill! I love tamales! And i love this recipe. Wow-labor intensive project, but the payoff is there. These look gorgeous! Kudos to you for making authentic tamales! It’s fun to make variations for the filling or masa (like using shredded chicken in salsa verde for the stuffing and adding fresh corn to masa), but your pepper-based sauce for the pork is a classic! I have longing for that recipe for so long now that I don’t even remember. Super thanks. Love those pictorial display. And the family participation makes it extra special for me. This is easier..go to a Mexican store and buy prepared Tamale Masa. you do not have to make it. You may have to add some salt….